Biduret tablets (Amiloride and Hydrochlorothiazide 5/50), is used to treat high blood pressure (hypertension), heart failure, or extra fluid in the body (edema) while at the same time conserving the amount of potassium in the body. Lowering high blood pressure is necessary as it helps to prevent strokes, heart attacks, and kidney problems. Biduret tablets (Generic Moduretic) are used alone or in combination with other medications for the treatment of high blood pressure and heart failure in patients who have low amounts of potassium in their bodies or for those cases where low potassium levels in the body can be dangerous. Biduret tablets are manufactured by GlaxoSmithKline Pharmaceuticals Limited in the strengths of 5 mg of Amiloride and 50 mg of Hydrochlorothiazide. We also have in stock Generic Lotrel 5/10 (Amace-BP tablets) which is a combination antihypertensive medication consisting of calcium channel blocker (Amlodipine Besylate) and an angiotensin converting enzyme inhibitor (Benazepril HCl) which is used in the treatment of more severe forms of hypertension. 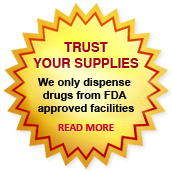 We supply original Biduret tablets manufactured by GlaxoSmithKline Pharmaceuticals Limited . The active ingredients present in Biduret tablets are Amiloride HCl and Hydrochlorothiazide. Each tablet contains 5 mg of Amiloride and 50 mg of Hydrochlorothiazide. Generic Moduretic is a diuretic medication that prevent your body from absorbing too much salt. Generic Moduretic contains hydrochlorothiazide which is a thiazide diuretic and Amiloride HCl which is a potassium sparing diuretic. The combination of Hydrochlorothiazide and Amiloride is used to treat fluid retention (edema) and high blood pressure (hypertension). Hydrochlorothiazide and amiloride may also be used for purposes not listed on this page. Amiloride Hydrochloride and Hydrochlorothiazide tablets should be administered with food. The usual starting dosage of Biduret tablets is 1 tablet a day. The dosage may be increased to a maximum of 2 tablets a day, if necessary. More than 2 tablets of Amiloride HCl and Hydrochlorothiazide daily are not normally needed. Follow all directions on your prescription label. Do not take Generic Moduretic tablets in larger or smaller amounts or for longer than recommended. Take Hydrochlorothiazide and Amiloride tablets with food. If you need surgery or medical tests, tell the doctor ahead of time that you are taking medication that contains Hydrochlorothiazide. You may need to stop using the medicine for a short time. Biduret tablets(Amiloride Hydrochloride and Hydrochlorothiazide) are usually well tolerated. The Commonly reported side effects of Biduret tablets include upset stomach, diarrhea, loss of appetite, stomach pain, gas and headache. Usually these side effects go away on their own. high potassium--slow heart rate, weak pulse, muscle weakness, tingly feeling. This is not a complete list of side effects of Biduret Tablets (Generic Moduretic) and others may occur. Are contraindicated in patients who are hypersensitive to Amiloride Hydrochloride or Hydrochlorothiazide or to other sulphonamide-derived drugs. They are also contraindicated in patients with a hypersensitivity to any inactive ingredient present in Biduret tablets. Generic Moduretic should not be used in the presence of elevated plasma potassium levels (interpreted as over 5.5 mmol/litre). Other antikaliuretic agents and potassium supplements or a potassium-rich diet are contraindicated in patients receiving Generic Moduretic since such combination therapy is commonly associated with rapid increases in plasma potassium levels. Anuria, acute renal failure, severe progressive renal disease and diabetic nephropathy are contraindications to the use of Biduret Tablets (Generic Moduretic). When creatine clearance falls below 30 mL/min thiazide diuretics are ineffective. Patients with increases in blood urea nitrogen (BUN) over 10.7 mmol/L, in serum creatinine levels over 0.13 mmol/L, or in whole blood urea values over 10.0 mmol/L, should not receive Generic Moduretic without careful, frequent monitoring of serum electrolytes and BUN levels. Potassium retention in the presence of renal impairment is accentuated by the addition of an antikaliuretic agent and may result in the rapid development of hyperkalaemia. In patients without renal impairment or diabetes mellitus, the risk of hyperkalemia (serum potassium levels greater than 5.5 mEq per liter) with Biduret Tablets (Generic Moduretic) is about 1 to 2 percent. This risk is greater in patients with renal impairment or diabetes mellitus. Determination of serum electrolytes to detect possible electrolyte imbalance has to be performed at appropriate intervals. Patients have to be observed for any clinical signs of fluid or electrolytes imbalance: i.e., hyponatremia, hypochloremic alkalosis, and hypokalemia. Serum and urine electrolyte determinations are specially important when the patient is vomiting excessively or receiving parenteral fluids. Hypokalemia may develop in patients during thiazide therapy, especially with brisk diuresis, when severe cirrhosis is present, during concurrent use of corticosteroids or ACTH, or after prolonged therapy. In certain patients, the administration of a non-steroidal anti-inflammatory agent can reduce the diuretic, natriuretic, and antihypertensive effects of loop, potassium-sparing and thiazide diuretics. When Amiloride Hydrochloride is administered simultaneously with an angiotensin-converting enzyme inhibitor, cyclosporine or tacrolimus, the risk of hyperkalemia may be increased. When Hydrochlorothiazide is administered concurrently along with Alcohol, Barbiturates, or Narcotics, they may may interact with thiazide diuretics. Potentiation of orthostatic hypotension may occur when Hydrochlorothiazide is administered. Antidiabetic Drugs (oral agents and insulin) may require dosage adjustment when administered with Hydrochlorothiazide. When other Antihypertensive medicines are also administered there is the possibility of additive effect or potentiation. Amiloride Hydrochloride And Hydrochlorothiazide tablets (Biduret) have been classified by the US FDA as Pregnancy Category B. Teratogenicity studies performed with combinations of Amiloride Hydrochloride And Hydrochlorothiazide in animals at doses up to 25 times the expected maximum daily dose for humans and have revealed no evidence of harm to the fetus. No evidence of reduced fertility in rats was seen at dosage levels up to 25 times the expected maximum human daily dose. A perinatal and postnatal study conducted in rats showed a reduction in maternal body weight gain during and after gestation at a daily dose of 25 times the recommended maximum daily dose for humans. The body weights of alive pups at birth and at weaning were also reduced at this dose level. There are no adequate and well-controlled studies in pregnant women. Since animal reproduction studies are not always predictive of human responses, this medicine should be used during pregnancy only if clearly needed. Animal studies have shown that Amiloride is excreted in milk in concentrations that are higher than those found in blood, but it is not known whether Amiloride HCl is excreted in human milk. However, Thiazides including Hydrochlorothiazide appear in breast milk. Due to the possibility for serious adverse reactions in nursing infants, a decision should be made whether to discontinue nursing or to discontinue Biduret Tablets (Generic Moduretic), taking into account the importance of the medicine to the mother. You can buy Generic Moduretic 5/50 tablets online from Clear Sky Pharmacy at a cheap price. Biduret 5/50 (5 mg of Amiloride and 50 mg of Hydrochlorothiazide) pills, manufactured by GlaxoSmithKline Pharmaceuticals Limited, India are supplied in a blister strip of 10 tablets. Biduret 5/50 tablets cost only $0.31 per unit when you place an order for 360 tablets.